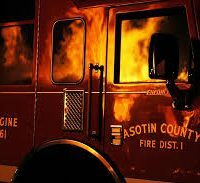 Asotin County Fire District 1 is celebrating Emergency Medical Service Week by hosting an open house Saturday. Chief Noel Hardin says the event raises awareness about the important role EMS programs and emergency personnel play in saving lives. The open house will be held from 11am to 1pm at the future home of the Fire District’s new fire station at 2377 Appleside Boulevard in Clarkston. For more information contact the Asotin County Fire District 1 office at (509) 758-5181.